On September 9, 24,000 inmates in at least 12 states refused to show up for work. 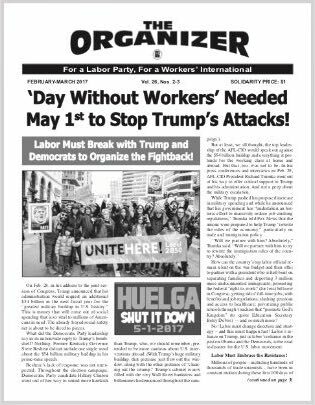 Their bold action was the culmination of a 19-day prison strike in which federal and state prisoners as well as immigrant detainees took part at great risk to themselves in work stoppages, commissary and phone boycotts, and hunger strikes. Organized initially from Holman Prison in Alabama by the Free Alabama Movement and spearheaded by Jailhouse Lawyers Speak, planning began earlier this year in the aftermath of tragic deaths at Lee County Correctional Institution in South Carolina, where prison authorities housed rival gangs together and then stood by as almost 50 inmates lay bleeding — seven of whom died from severe blood loss. At least half of the nation’s 1.5 million federal and state prisoners (this number excludes 713,000 in county jails) have a job within the prison walls. According to the Bureau of Justice Statistics, 700,000 have daily jobs crucial to the overall functioning of prisons while 60,000 work for “correctional industries,” including the $500 million federal Unicor program and private corporations. Above all, the prisons and prison industries do not have to pay minimum wage — or any wage at all. The average pay for a prisoner working in a state prison facility is 20 cents an hour with the pay as low as 4 cents an hour in Louisiana. The typical wages in the federal Unicor program vary from 23 cents up to $1.15 per hour, but up to 80% of wages can be withheld to pay for the costs of incarceration (euphemistically called room and board) as well as for victims’ compensation. Even these low wages are denied to inmates in three states — Texas, Georgia, and Arkansas. Southern states responded with what historian Douglas A. Blackmon called “an array of interlocking laws [Black Codes] intended to criminalize Black life.” Convict labor was sold to farms, factories, lumber camps, quarries, and mines. Although leasing of convict labor was abolished technically in 1941, segregated prison gangs worked under overseers picking cotton without pay in Texas until ruled unconstitutional in 1980. The criminalization of poverty, however, remains the order of the day, targeting the Black population in particular. In 2013, the Sentencing Project warned that “one of every three Black American males born today can expect to go to prison in his lifetime” and will be confronted with modern-day slavery. 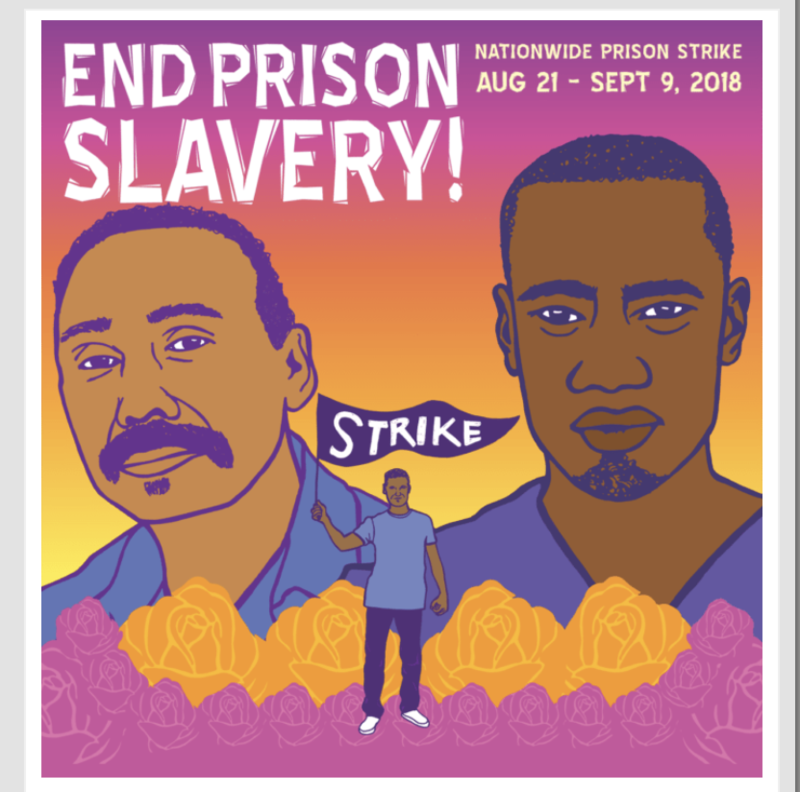 Despite prison administration retaliation with 24/7 lockdowns, blackout of all light from cell windows, solitary confinement, transfer to supermax prisons, and the threat of expedited deportation for immigrant detainees, the largest prison strike in U.S. history unfolded. 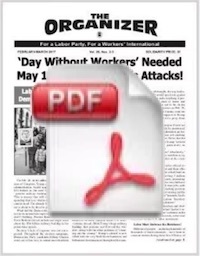 The dates selected by organizers for the first and last day commemorated events 47 years ago — the assassination of Black militant George Jackson on August 21 at San Quentin Prison in California and the September 9 uprising at the Attica Correctional Facility in New York State that is now embedded in the history of struggle. * 6.1 million ex-prisoners, who served time for felonies, are denied the right to vote indefinitely in four states and until they complete their probation or parole in others. Over 1.5 million are disenfranchised in Florida alone such that 1 in 5 potentially eligible African-Americans are removed automatically from the voting rolls. An initiative is on the November ballot in Florida to restore voting rights for most ex-felons. ** The Marshall Project, named for former Supreme Court Justice Thurgood Marshall, is a news agency focused on the U.S. criminal justice system. We know that your victory will also be a victory for Palestine – just as our victories in Palestine will be a victory for all of the struggles against imperialism, racism and oppression in the United States and globally. PHILADELPHIA — The August 30 hearing was intended to conclude Mumia Abu-Jamal’s Post-Conviction Relief Appeal (PCRA). So thought 40 supporters packed into Courtroom 1108, 100 supporters waiting in the hall, and more than 200 protestors gathered on Filbert St. below. But instead of hearing oral argument, Judge Tucker granted a 60-day continuance to address demands by Mumia’s lawyers for additional discovery. Only three days earlier, on August 27, Assistant District Attorney Tracey Kavanagh disclosed that a letter, dated May 25, 1988 and written on then District Attorney Ronald Castille’s letterhead, had been found in former State Senator Fisher’s archives. The letter to Fisher, a proponent of expediting executions, listed nine death row inmates, including Mumia, then pursuing his direct appeal. Throughout the hearing, Judge Tucker admonished the District Attorney’s office for “sloppy” work, and several times noted their “troubling” ineptitude. He repeatedly requested “specific” answers, but none were forthcoming. Nor could the DA’s office specify the number of boxes containing relevant files, including some still unexamined and others claimed to be missing. The DA’s office offered 31 boxes previously, but in the weeks preceding this hearing, that number swelled to 178, then 193, of which 13 were “unlocated.” Judge Tucker ordered that “a lawyer” verify all previous research, in addition to examining the Fisher archives. In light of new evidence and the DA’s apparent lack of cooperation, Judge Tucker allowed the defense to add a claim of judicial bias in addition to the PCRA claim based on the 2016 Supreme Court Decision Williams v. Pennsylvania. In spite of Judge Tucker’s statements, the hearing reflects a persistent theme in Mumia’s ongoing struggle: the inability to hold the criminal justice system to account. The 2018 hearings are the first under the tenure of DA Larry Krasner, elected with support of Bernie Sanders, Our Revolution, and Philly DSA and hailed as a “radical.” In private practice he filed over 75 civil rights cases against the police. Yet, on August 30 in Courtroom 1108, Larry Krasner, through ADA Tracey Kavanagh, failed to address fundamental questions of police and prosecutorial misconduct and sought to deny Mumia Abu-Jamal his well-deserved and long-overdue freedom.